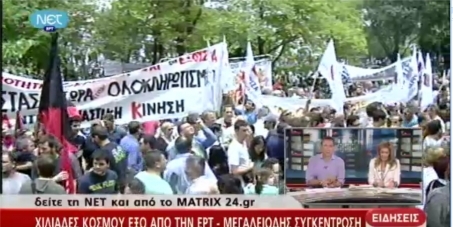 EBU Petition: Restore public service media in Greece! We, at the EBU, believe that the existence of public service media and their independence from government lie at the heart of democratic societies, and therefore any far-reaching changes to the public media system should only be decided after an open and inclusive democratic debate in Parliament – and not through a simple agreement between two government ministers. Public service media is an essential pillar of democratic and pluralistic societies across Europe.